Ryan Coogler said 'Black Panther' is the James Bond of the Marvel Cinematic Universe. The 31-year-old filmmaker helmed the latest instalment of the MCU - which sees Chadwick Boseman star as Prince T'Challa aka Black Panther - and when Coogler was approached by Marvel Studios to direct the project was left very excited when bosses told him their vision for the character was for him to be like a superhero 007. 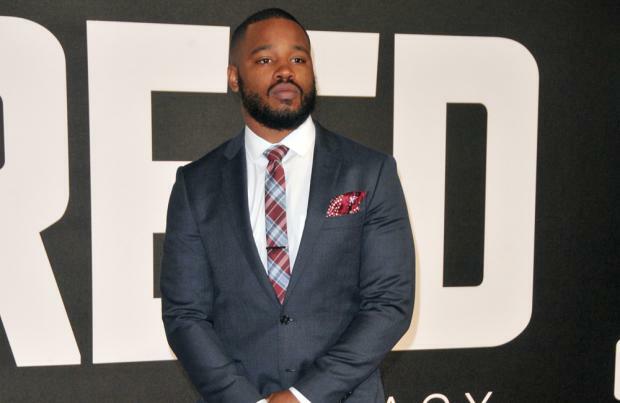 Speaking to Total Film magazine, Coogler said: "When I first started talking to Marvel, one thing they were interested in was for Panther to be their version of James Bond, which I thought was incredibly interesting and exciting. It was a really outside-of-the-box way to look at T'Challa. There are some Bond films that I really, really like, and it gave me the opportunity to go watch some other ones." The movie is based around the first ever black superhero in mainstream American comics who was created by legendary Marvel Comics writer Stan Lee and the equally iconic artist-and-writer Jack Kirby and first appeared in 'Fantastic Four #52' back in 1966. The motion picture is expected to expand on the storyline that was first introduced in 'Captain America: Civil War' of how T'Challa becomes the superhero. The film stars Lupita Nyong'o, Letitia Wright, Forest Whitaker, Danai Gurira, Martin Freeman and Andy Serkis - who are both reprising their roles as Everett K. Ross and Ulysses Klaue respectively in the new film. When Total Film asked Wright if she thought the comparison between 'Black Panther' and author Ian Flemming's James Bond was a fit, she agreed saying her character Shuri is like "T'Challa's Q". She said: "Yeah, why not? She's T'Challa's Q. She's by his side with the technology he needs. The way she helps him is really cool. I hope Shuri can help people. Maybe you're in school right now, and super smart and super intelligent, and people may be saying 'you're a geek' or whatever, making them feel bad. Maybe they can watch this film and be like 'man! Being smart or a scientist or super great at math is not a bad thing at all." In the James Bond franchise, Q - whose initial stands for Quartermaster - is the head of Q Branch (later Division), the fictional research and development division of the British Secret Service and is responsible for equipping 007 with weapons and spy gadgets he could need in the field. Q has appeared in 21 of the 24 Eon Productions movies - with the exceptions being 'Live and Let Die', 'Casino Royale' and 'Quantum of Solace'. 'Black Panther' is slated for release in February 2018.